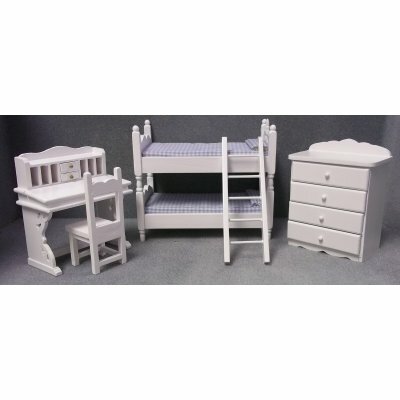 This miniature set of 1:12 scale, white painted wood dollhouse bedroom furniture has 5 pieces. The set includes a dresser with working drawers (4.13" tall by 3.25" wide by 1.83" deep), a set of bunk beds with ladder (4.71" tall by 5.43" long by 3.07" deep) with assorted mattress cover, desk (3.94" tall by 3.6" wide by 1.89" deep) with working drawers and desktop lift for storage underneath and matching desk chair. This Bunk Bed Set w/ Desk - White - 5pc is supplied by New Creations, which generally ships within 1 business day(s) of you placing your order . 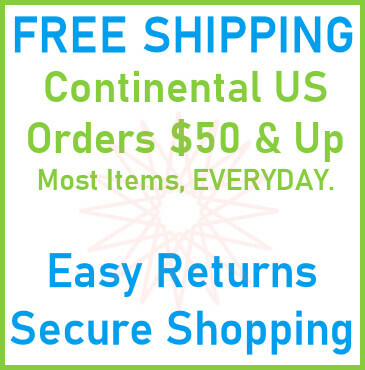 New Creations is a distributor of imported miniatures and manufacturer of several lines including New Creations Wallpaper.New Creations miniatures ship next business day.